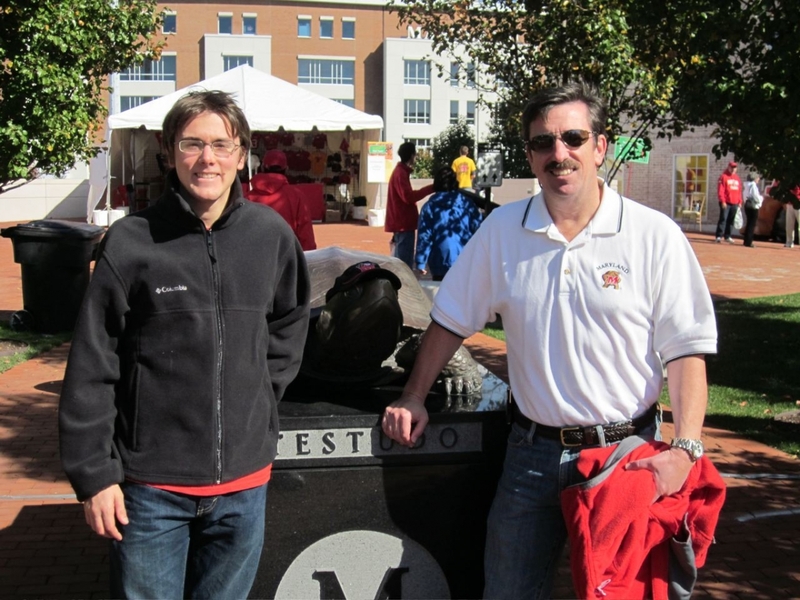 For Bill Johnston III ’92, being a Terp has always been a family affair. “When my son was two, he sat on Testudo’s head in front of McKeldin while I completed assignments,” Johnston recalls. At his graduation ceremony, Johnston let his son hop a ride on Testudo’s head once more, now a fond family memory. Now, Johnston is a Lifetime Member of the Alumni Association, a season ticket holder, a member of the Robert H. Smith School of Business Alumni Chapter Board and a member of the Parents Council. Johnston hopes more people will become active alumni so they can be part of something special. But, Johnston’s love of campus goes beyond sporting events. Now that Johnston’s son has graduated, the family still returns to campus for football games.